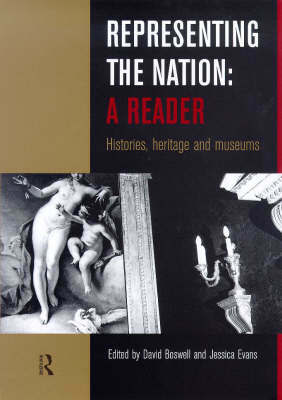 Gathering key writings from leading thinkers in cultural studies, cultural history, and museum studies, Representing the Nation: A reader explores the role cultural institutions play in creating and shaping our sense of ourselves as a nation. With an international perspective focusing on the USA, France, Australia, the UK and India, leading figures and authors, including Tony Bennet, Ralph Samuel and Carol Duncan examine the way the past is preserved, represented and consumed as our `heritage'. strategies involved in creating and sustaining a national culturethe growth of heritage culture, from the founding of the National Trust in 1895 to the heritage acts of the 1980swhy it has become important for nations to preserve the past and in whose name is it preserved and displayedthe historical development of the public museum issues and difficulties facing museums today and the competing demands and interests of public funding bodies, tourists and local communities. For the disciplines of both museum studies and cultural studies this will be vital reading material, and is also perfect as a course reader for a new MA in media and cultural studies.